Tiger Beer Point of Sale — Danielle Townsend Design Graphic Design and Brand Identity Design Dublin, Danielle Townsend Design is a Graphic Design and Visual Thinking agency based in Dublin. 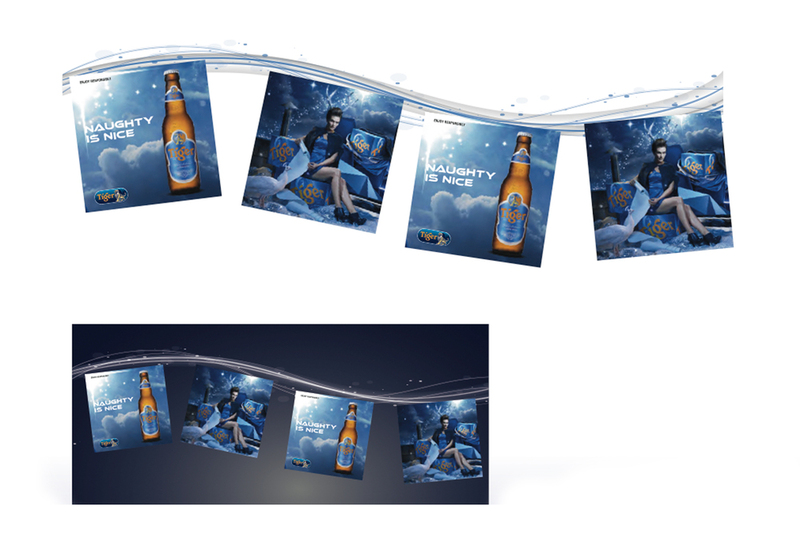 To create an innovative range of point of sale material for Tiger Beer for the Halloween period. A full range of point of sale material was created, including the use of LED sting and lighting to create a little sparkle for the POS material. A UV activated poster was created to show the dark side, and a fun bust was also made with the prize beer as the centre piece.